Martin William Conole was born in Atherton Private Hospital on the 15th of February 1932. He grew up on a dairy farm being in charge of his own dairy herd at 14 years of age, he had his own bullock team at a very young age. He married Joan in June 1956 and has reared 6 children on their dairy farm at North Johnstone. With Joan’s support, Martin has been able to have such a long competitive career. 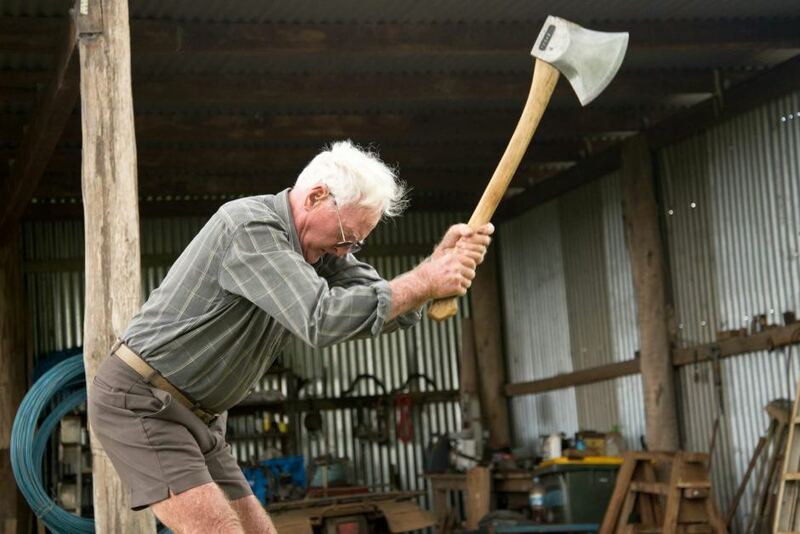 Martin started wood chopping career in 1952 competing at The Butchers Creek Sports Day winning his first novice 12inch standing block. His second win of his career was at the May Day Sports in Malanda in 1954 chopping a 13inch standing block. In 1956 he had another Novice win at the Malanda Show in September chopping a 12inch standing block. In 1961 at the Innisfail Show Martin won a McCulloch chainsaw as the major prize for 12inch combination chop (underhand and standing). This win set him up for a lifetime of cutting trees. The chainsaw enables Martin to be the first person to be employed by the Main Roads Department with a chainsaw to fell trees along the Gillies Highway for the widening of the road. With this work Martin was able to pay a deposit on his own farm where he milked cows up until 2001. Martin has chopped at 60 consecutive Malanda Shows since 1954. Martin has chopped at consecutive Atherton Shows since 1957, Mossman Shows since 1960, Tully Shows 1960, Mareeba Rodeo 1960 and Malanda Pub Chop 1986 and many other festivals and events around the local and broader areas. 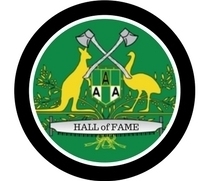 Adelaide Show has been a favourite of Martins cutting 20 out of 21 years beginning in 1986. From Martin’s view one of the most outstanding achievements for him was a tree felling event in 1965 that he won the first prize of 50 pounds. Martin retired from tree felling in his 70th year in 2004. Martin’s son Glen has followed in his father’s footsteps and has completed at local woodchops and events. A highlight in Martin’s career is his involvement in the 2 veteran’s representation to New Zealand in 1997 & 2007. The 2007 team is the only veteran’s team over 70 to travel overseas. Isaac Egan from the ABC has produced a video in late 2014 that is available to be viewed on the ABC website where Marty acknowledges that he is a self confessed ‘chop-a-holic’. In November 2006 Martin suffered a heart attack and underwent bypass surgery on 20th March 2007 and competed at the Peeramon Pub Pig Hunt Woodchop on the 10th June 2007 less than 3 months after his surgery. At 83 years of age Martin is still chopping, trimming and preparing for the upcoming show circuit with the same enthusiasm as in his early career.